My business idea is to run a tea shop and after getting information about the EYE programme, I contacted the owner of En Aparthè, Anne, that accepted to became my host. Her shop is located in Lyon and we arranged to meet us unofficially (before the beginning of the exchange) during the event “La fête des Terrasses” which took place in September for promoting the products of local shops. I arrived only at the end (because of an appointment for my accommodation search) but nevertheless we had the opportunity to introduce a little and arrange another meeting during that we discussed about our goals and expectations. 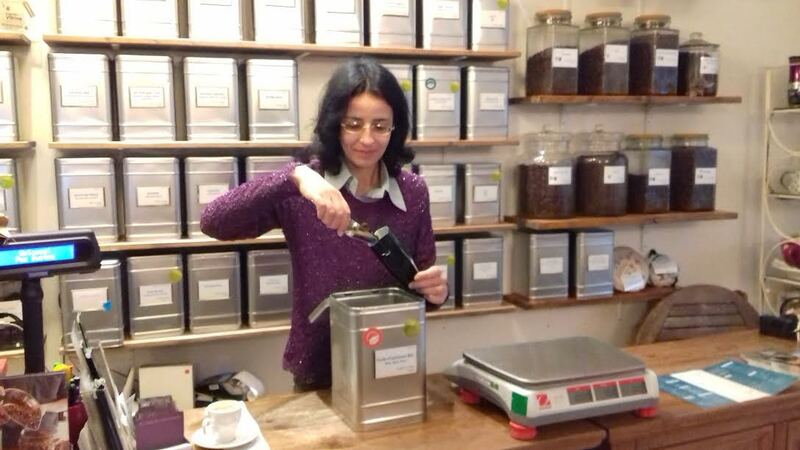 During the first days Anne provided me the some documents to study the specific vocabulary related to the description and classification of teas, essential to guide and advise customers. My host has showed to be very interested in my project: she asked me to tell her more about the time and place in which I plan to install my business. We also made a general comparison between her and my business plan. Among the others things, she suggested me to administer a questionnaire to better understand what my potential customers expect to find in my shop, considering the lack of specific studies related to the business sector in the area of my interest. She also gave me advice on how to promote the business in the early days, combining the tastings with external events. In the first two weeks I have also learned how to organize the warehouse and keep the stocks. It was very useful for my future business also to start learning the timing and doses of the preparation for a big variety of teas, information that later I will provide to her customer base and, in the future, to mine. Finally, I started to pack the tea leaves in bags: how to choose the size, how to weigh and label them. I am satisfied about how we set our exchange, because everything we do is constantly discussed and evaluated with transparency and serenity. I think we have also found the right balance between theoretical and practical activities, making more dynamic our collaboration!